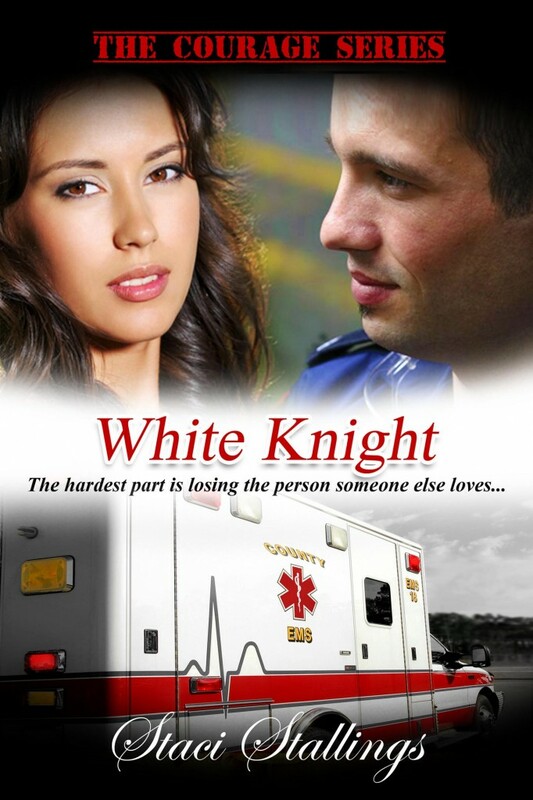 White Knight by Staci Stallings was free on kindle and I downloaded it and enjoyed reading this heart wrenching romance. Eve Knox struggles beneath the weight of grief even two years after her beloved husband Dustin, a firefighter, dies as a result of a fighting a fire. She buries herself in her work and suffers the matchmaking of well-meaning friends. A.J. Knight was a wanna-be drummer who couldn’t make it and returned home to work as an E.M.T. He was the paramedic who as a novice was first on the scene to care for Dustin as he was recovered fatally burned from a fire. That day, along with many others, haunts his soul and overshadows the lives he has saved. When A.J. and Eve meet, laughter erupts and wounded hearts begin to heal and hope, except that A.J. has never told Eve about his perceived failure and culpability in her husband’s death. He assigns blame for the grief and sorrow she has suffered. Can two wounded people overcome the heartache of the past and reach for a future of love and laughter? This story is a heartfelt journey of two such people and how memories of pain can overshadow the wonder and joy of love. This is a well-written book. The first chapter was difficult in trying to sort through all the characters involved but it soon becomes clear and easier to follow. Staci draws characters whose pain is experienced by the reader and a pain that is hard to set aside even when the book reaches it’s happily-ever-after and the final page turns.